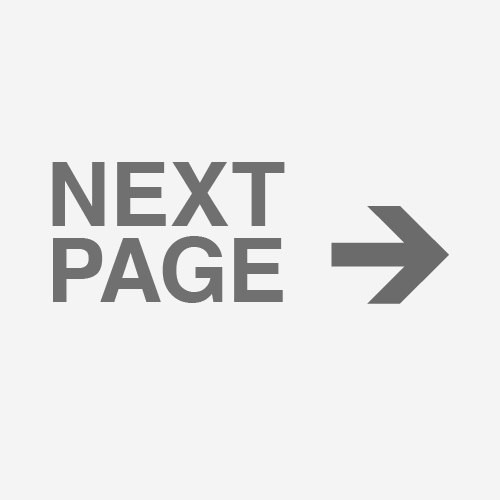 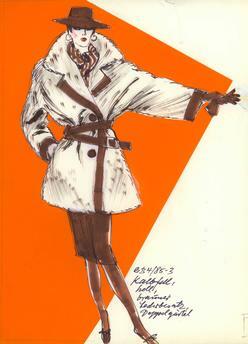 Fashion / Women's Fashion / Fur. 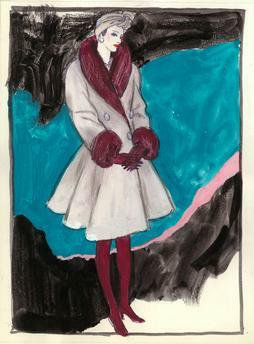 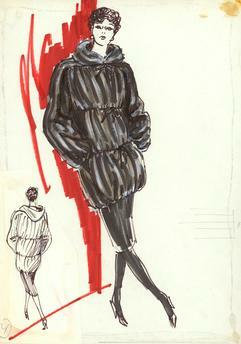 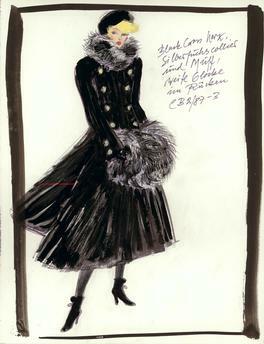 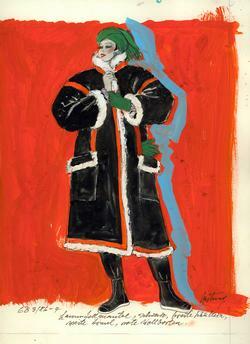 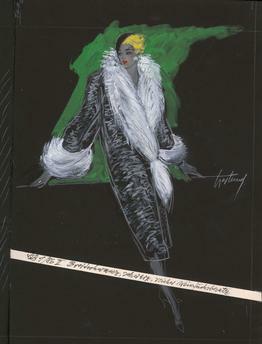 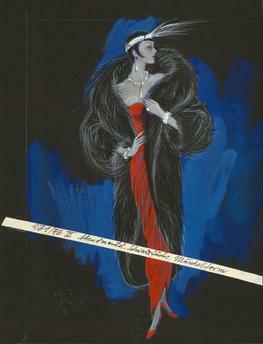 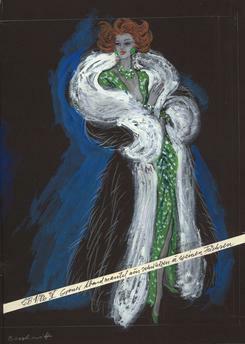 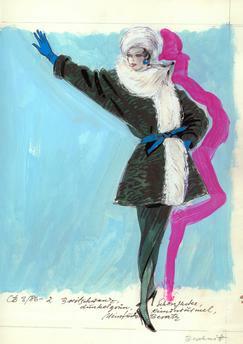 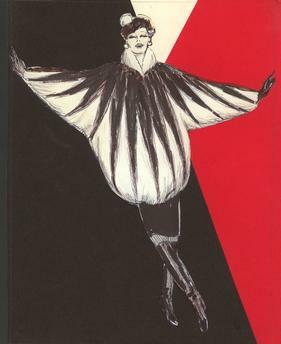 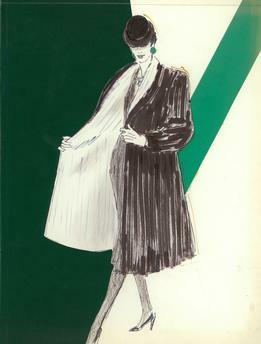 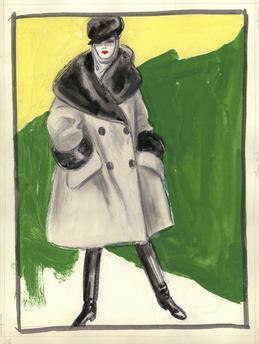 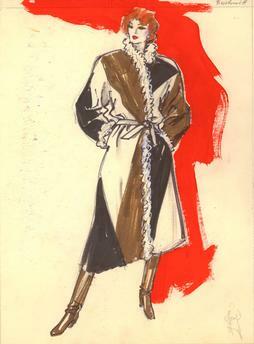 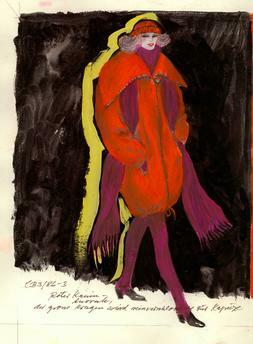 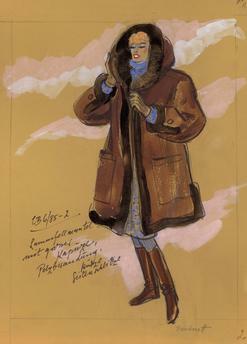 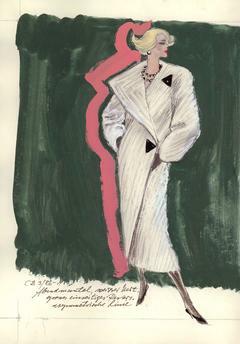 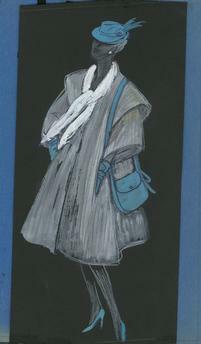 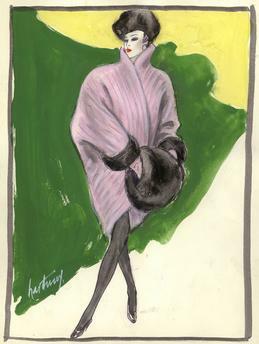 Woman wearing a fur jacket made of calfskin. 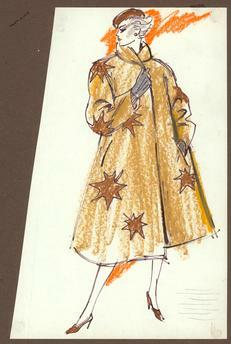 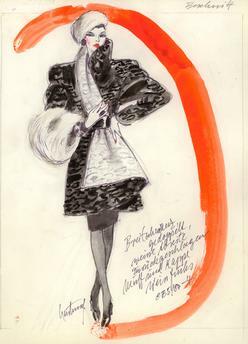 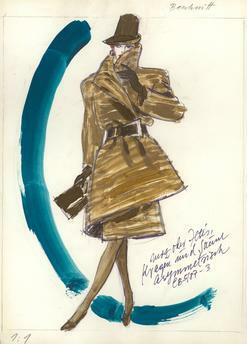 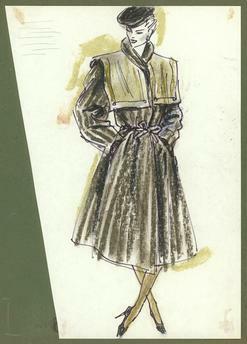 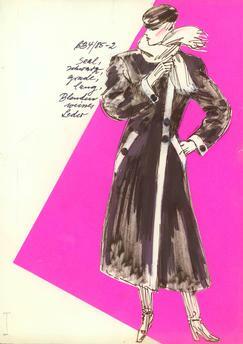 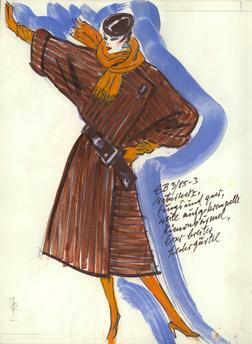 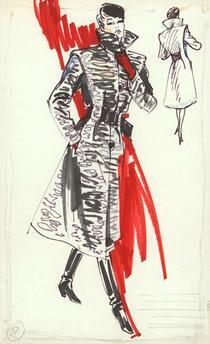 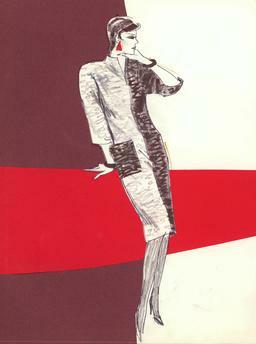 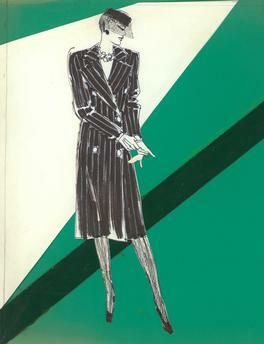 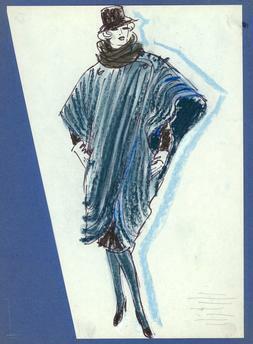 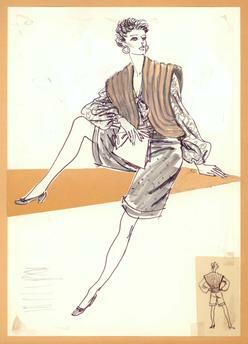 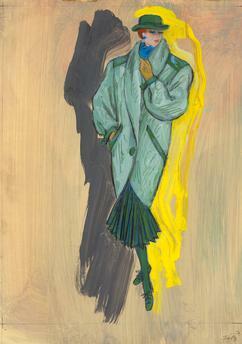 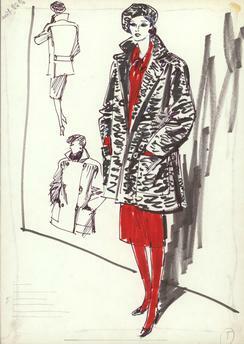 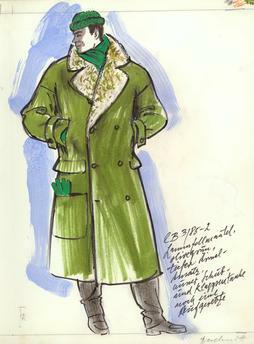 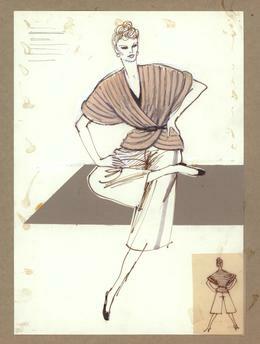 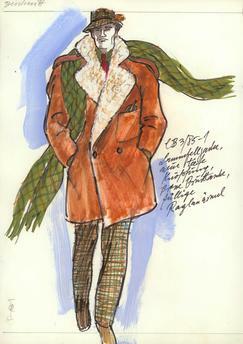 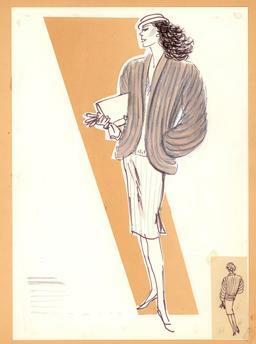 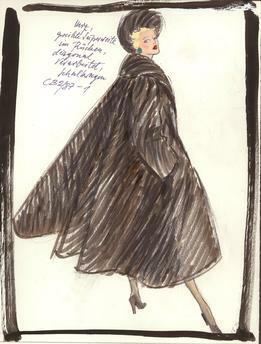 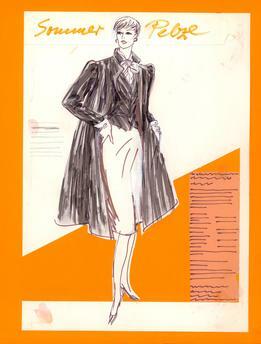 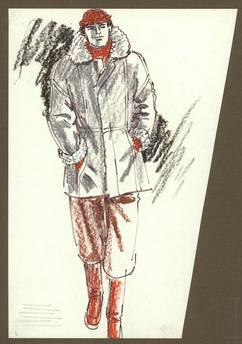 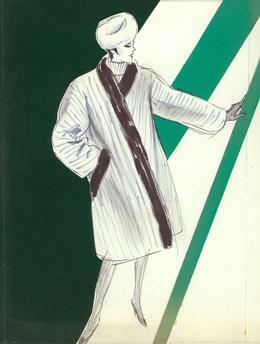 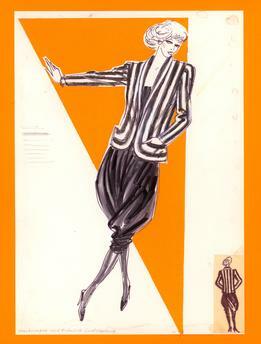 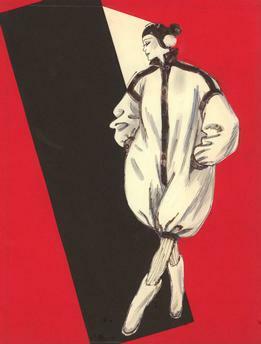 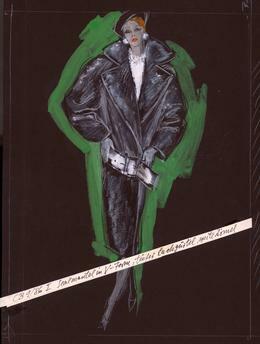 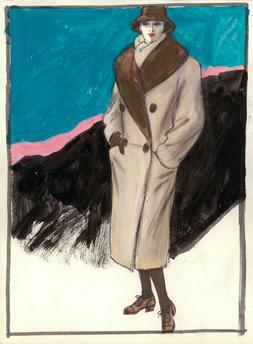 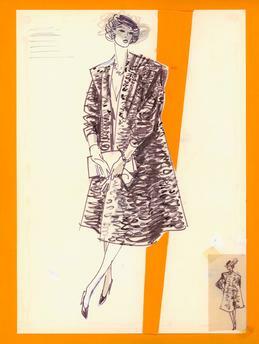 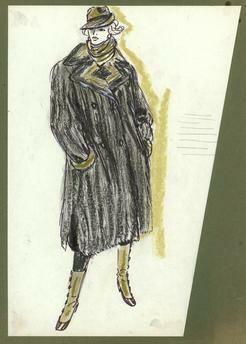 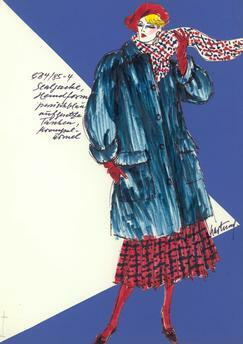 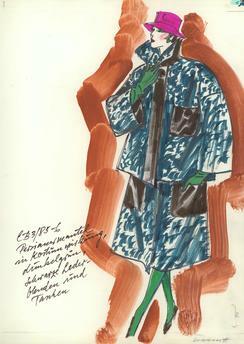 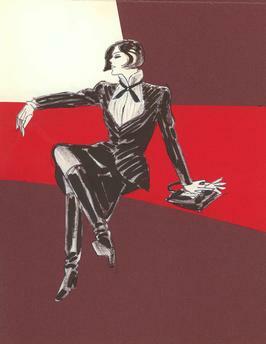 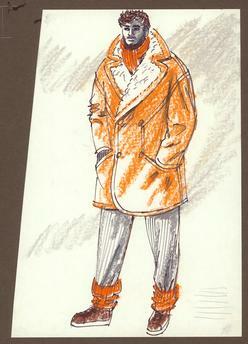 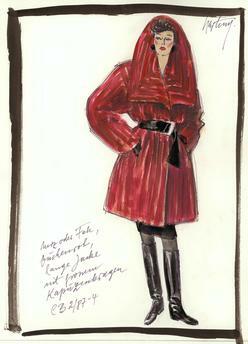 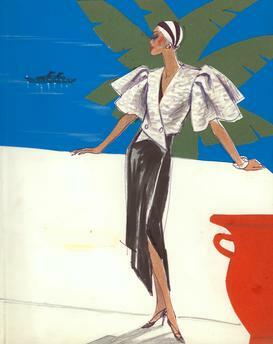 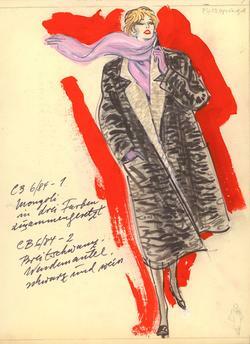 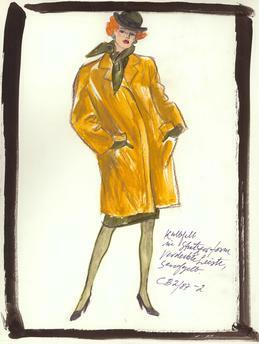 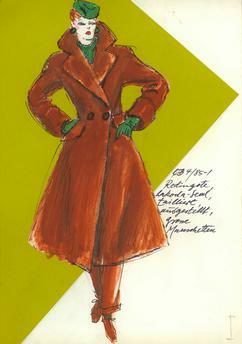 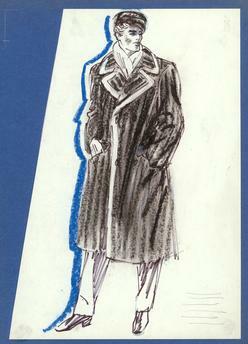 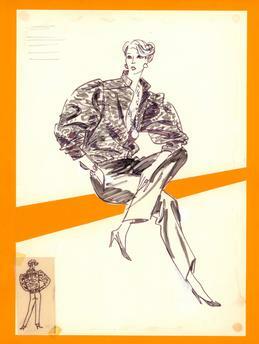 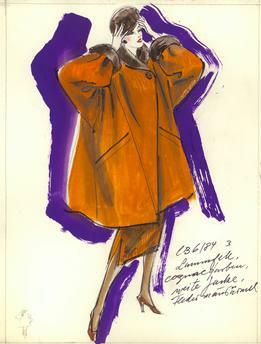 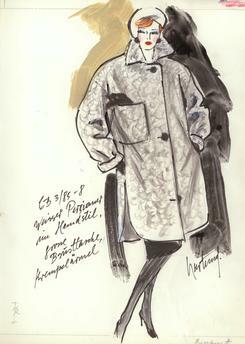 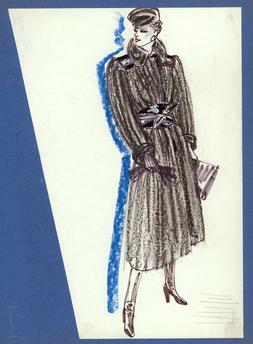 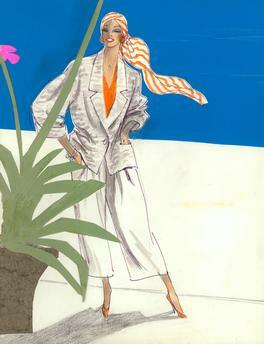 Drawing by Gerd Hartung (1913–2003).